Attic Insulation in Hollister, CA | Hollister Roofing Inc.
Attic insulation serves as a good function at home for both hot and cold climates all year round. A proper attic insulation installation is vital in maintaining a comfortable temperature at home for your family. Its main purpose is to slow the rate of heat transfer in both hot and cold weather. During the cold season, insulating your attic helps to stop the flow of heat out of your house while during the hot season, it helps to slow the movement of heat into your house. It can also help you save an average of 15% on your heating or cooling costs on energy bills during summer or winter. It also prevents major damage in extreme weather conditions like an ice dam. 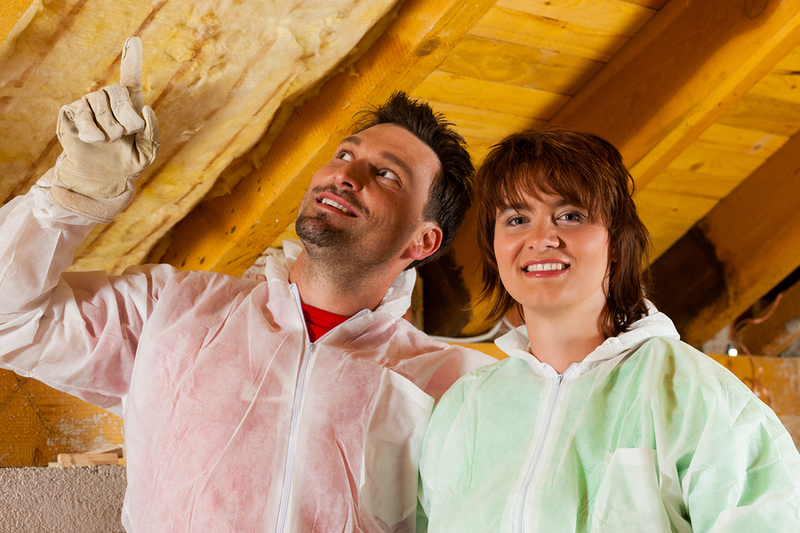 Good attic insulation can let homeowners have a credit up to $500 or 10% of energy efficiency. There are a lot of types of insulation but according to Remodeler Magazine, there can be a 117% return on investment by getting fiberglass insulation as this type of insulation is ideally available and the most familiar. Having an insulated attic keeps your home warmer in the winter and cooler in the summer. This helps reduce your heating and cooling costs. Hollister Roofing provides attic insulation installation that can help reduce your bills. Achieve an energy-efficient home with us today! An attic which is not properly insulated can cause what is called a “stack effect or chimney effect”. This is the movement of hot air which rises and escapes from the attic while drawing in cold air from the basement or leaks. As heat escapes your roof, cold air sinks and goes through the basement and first-floor windows. During the summer, the reverse effect happens. The hot air outside of your air-conditioned home can push cooler indoor air down from the ceiling and out of cracks in the basement which can cause moisture problems in your roof. This natural phenomenon creates air buoyancy which occurs when there is a difference from the indoor to outdoor air density resulting from temperature and moisture differences. Thermal difference and structure height are directly proportional to buoyancy force, which simply means that buoyant force increases with a difference of temperature and the height of the structure. This leads to the stack effect or chimney effect. If you want to know more about your attics, we offer professional attic insulation service to help fix your home improvements today. Make the most out of your attics with us and get a free estimate! R-value is a measure of your insulation’s ability to resist heat traveling through it. The higher the R-value your insulation has, the better performance it can have. An appropriate insulation level is dependent on where you live. According to Energy Star, 13-14” floor deep is good insulation for most Southern climates while 16-18” floor deep is good for Northern climates. R-value is determined by material type x depth. There are different R-values depending on your area. Refer to this R-value chart for more information. Our professionals can assist you with the right R-value you need for your attic. Check out our Roofing coupons for you attic insulation now! First things first, you need to look at your attic and see what needs to be done. You need to know what type of insulation is best for your attic, what R-value is right for your attic and all other requirements you need to check for proper attic insulation. The amount of insulation needed for your home depends on where you live and how old your home is. If your home is more than 10 years old, you will probably need to have more insulation for a more comfortable home. If your home is under-insulated, Hollister Roofing can perform a simple insulation inspection to help you determine your insulation needs. We guarantee that we will do the best attic insulation job for you! There are different types of insulation and every home varies on what insulation is best to fit its need. These are batts and blankets, loose-fill, blown-in, plastic foam, rigid boards, and reflective. 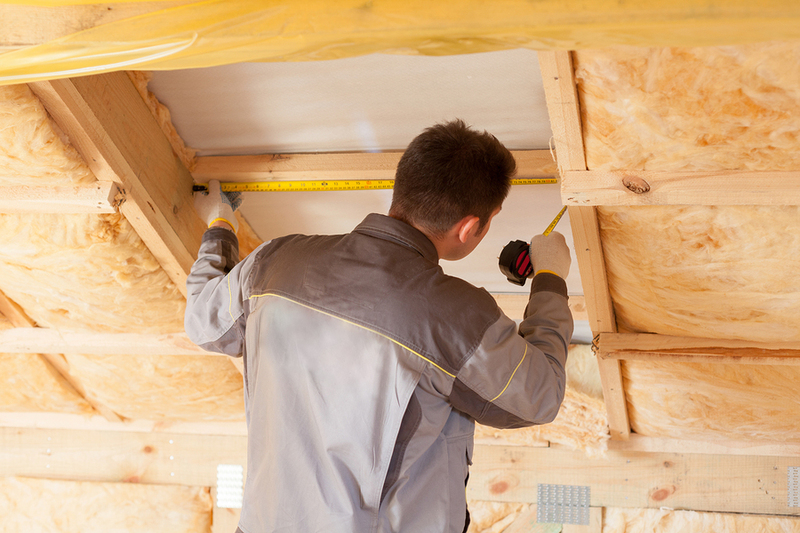 Your insulation depends on your budget and the type of material you want to use in your attic. If you want to know what is the best type of insulation that is right for your home, you may get a free estimate with Hollister Roofing. These are just some factors you need to know why you need attic insulation today. Start an attic insulation installation now and see how efficient it is for your home. It will not only reduce your bills but it will be a good lifelong investment that can help provide more comfort for your family. If you want to the best attic insulation for your home, call Hollister Roofing at 831-636-0188 today! Award-Winning Roofing Contractors Since 1981.